Hello! 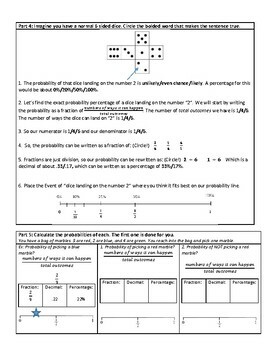 Probability can be a difficult skill for the young brain to access. 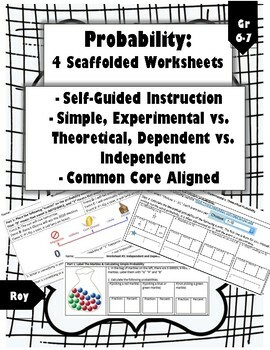 This week of resources provides 4 common-core aligned worksheets that are scaffolded in order to provide access to the material. I have used these resources as self-directed learning, but they can also be done full-class notes style. 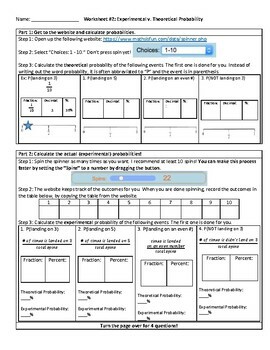 Worksheet #1 covers simple probability, a foundation skill needed to access the material. Worksheet #2 covers Experimental vs. 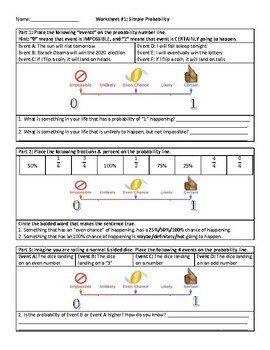 Theoretical Probability, alongside an online actvity. Worksheet #3 covers Independent vs. Dependent Events, using marbles as well as cards. Worksheet #4 reviews important points. These resources can be implemented in a variety of ways.